With January coming to a close, HR and accounting are sending out the W-2s, 1099s and other tax documents to staff and contributors. 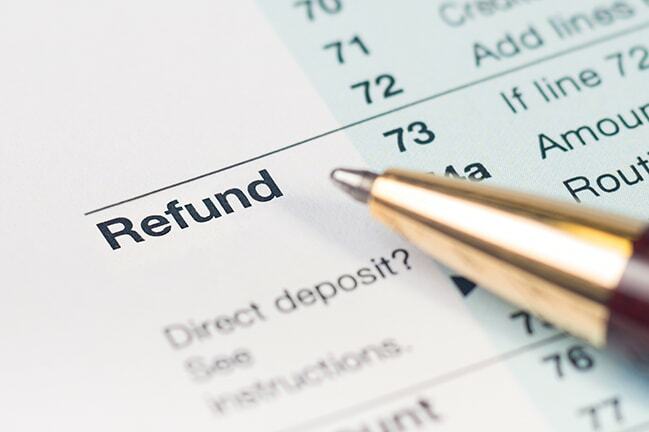 According to the IRS, the federal agency issued almost 117 million individual refunds for fiscal year 2015. Not surprisingly, the top five states for population had money returned. They were California, Texas, Florida, New York and Illinois. However, used car buyers might be leery of using a large down payment with all the uncertainty. Your dealership can still win the sale – if you use GPS tracking. Your prospects need vehicles to get to work or shuttle their families back and forth. This buy is an investment. Let them be confident of a purchase from your lot by not requiring all of their tax refund for a down payment. And you won’t be taking on more risk by using a solution like LenderOutlook™ to manage your loan portfolio. It puts all your vehicle information into an easy-to-access console. With GPS tracking, your new customer is satisfied as they drive off the lot and you have peace of mind. Integrate the data with your loan management system to help with finance department reporting. Of course, you have the ability to locate a vehicle when necessary and create alerts on the parameters you need such as going across the border. Depending on the device selected, there are more robust options available for reviewing driver behavior, sending payment reminders and more. And new to the LenderOutlook family is SkySmart. It is a value-added service that you can offer to your current customers as well as prospects. The solution enables your dealership to turn your cars into a connected ones. The service helps find local services, assists in vehicle recovery, notifies the user of certain vehicle conditions and can add a layer of protection for teenage drivers. This spring, a new tool will be available to assist your customers further. Bookmark our blog so you don’t miss the update. By partnering with CalAmp, you can lend with confidence during tax season and year round. Contact us today for more information on the right solution for your dealership.